New feature: New Budget and Trends features are now live! 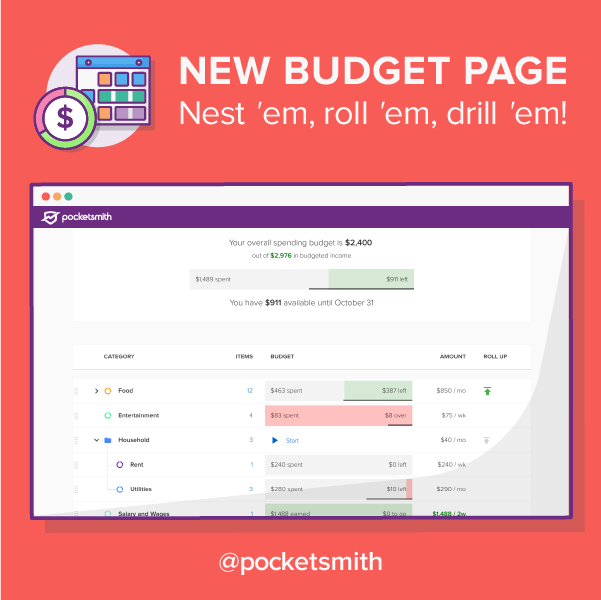 A brand new interface has made it easier than ever to manage your budget! You can view your overall budget at a glance, quickly seeing how much you have to spend and easily detect overspending.